Admittedly we are a group of Chrysler enthusiasts that can’t get enough of the LH platform. We love to talk about parts, maintenance, and modifications. If you have a question you have come to the right place, feel free to use the contact form to reach out to us! Please direct your question or comment to a Club Officer or to the appropriate topic. Webmaster, site suggestions and bad link reporting. Sales, questions regarding Chrysler 300M Enthusiasts Club merchandise sales. Info, general club and 300M questions. 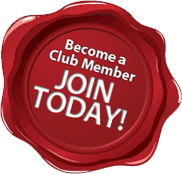 Membership, questions regarding membership in the club. Not sure where to start, send us your question or comment here and we will make sure to get back to you within 48 hours.